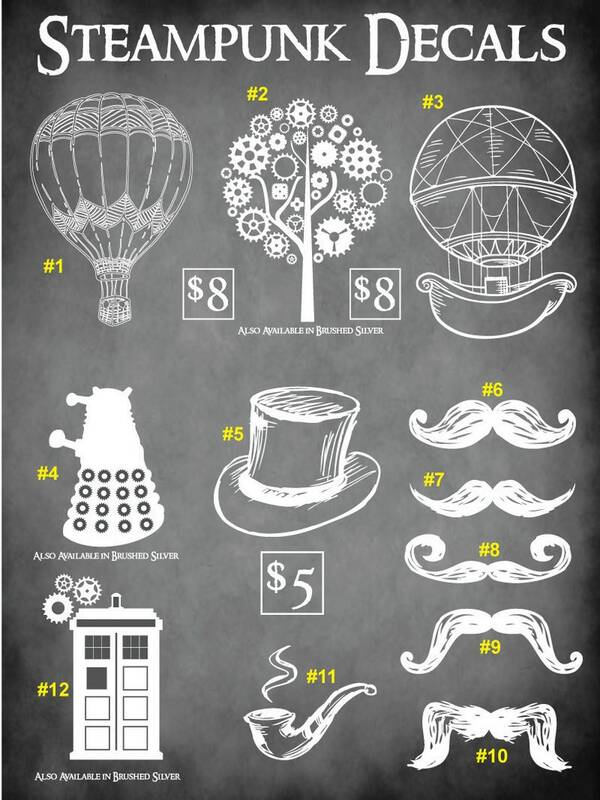 Show off your steampunk style with these decals on your vehicle, vehicle windows, filing cabinets, laptops, electronic cases, walls and essentially any flat surface! I use high grade white Oracal vinyl and will withstand the elements. A few of the decals noted are also available in brushed silver (feels a bit textured and has the look of brushed metal). #12 TARDIS with gears 6.42"H x 4.3"